Roger Howell, Jr. (Class of 1958, Bowdoin professor of history, Bowdoin president, 1969-1978) with his wife, Marcia Lunt Howell. 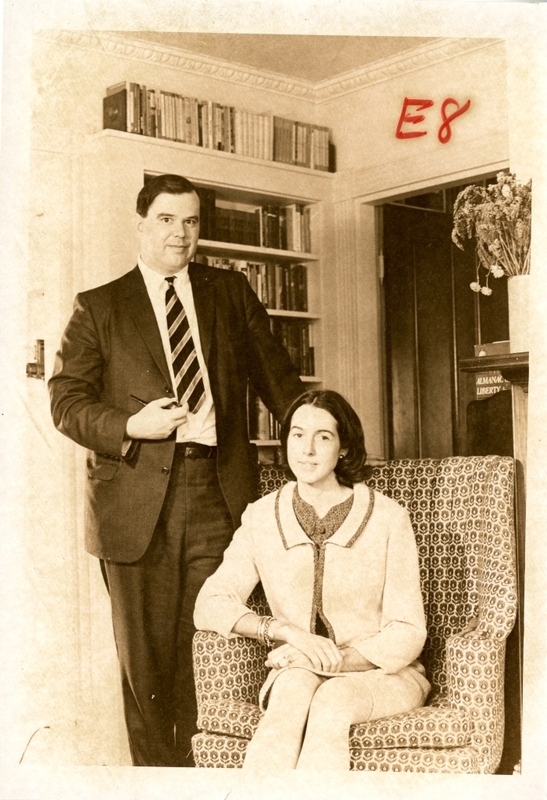 He is standing, pipe in hand, beside the chair in which she is seated, and there is a bookcase in the background. Information about the proof is written on the background of the image.